The prize for a the Best EAUN Nursing Research Project is € 2,500. Research project plan submission for the 17th International EAUN Meeting, Munich, Germany, 12-14 March 2016, is open from 1 July 2015 until 1 December 2015. From the Milan meeting (2008) onward, the EAUN is looking to support your nursing research project. A jury will select 6 nominees. All the projects of the nominees will be discussed in a scientific session, thus creating the possibility for all participants to learn from other projects, through feedback and discussions. The winner will be chosen by the jury after the session and will receive € 2,500 to start his or her research project. … then we invite you to submit a research project proposal for the EAUN Nursing Research Competition. We hope that many of you will use the opportunity the EAUN presents to you. Remember, small research can change the urological nursing world! 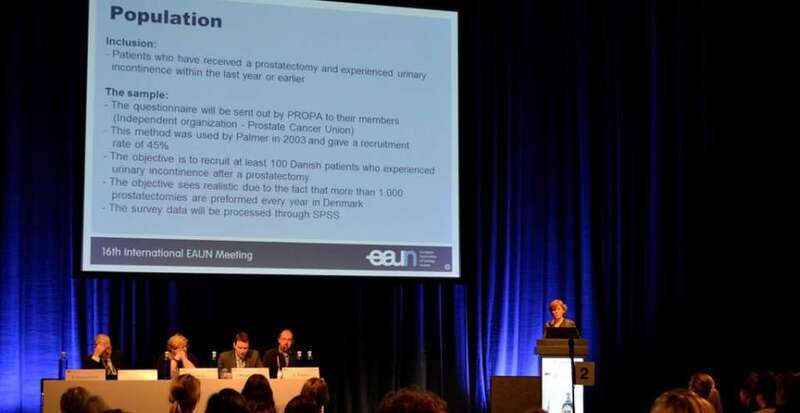 The results of the prize-winning research project will be published in European Urology Today and on the EAUN website and the winner is invited to submit an abstract for the next International EAUN Meeting. To inspire and help you previously submitted plans can be viewed at EAUN website.